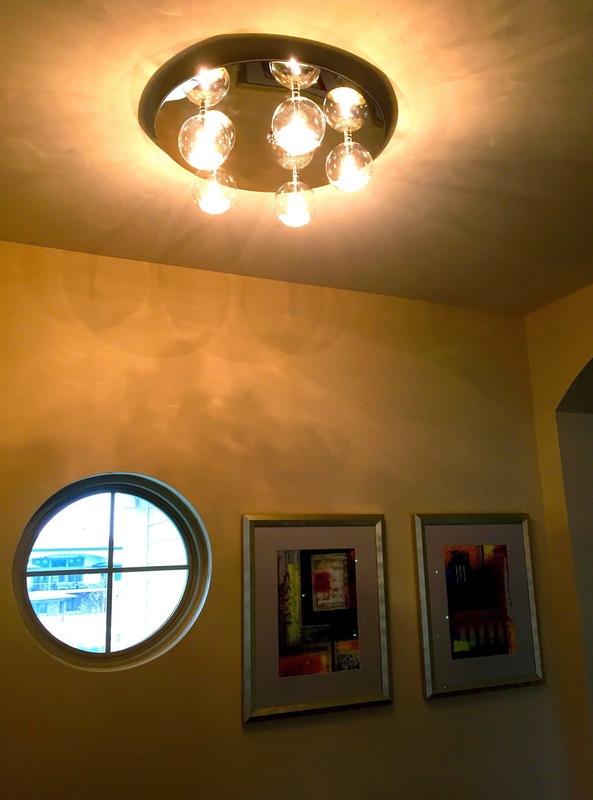 You will also notice that there is a porthole window in the wall and two paintings that have circles in them. I seem to have a theme going here. The reason I’m telling you about my bubble chandelier is that I happened to glance at it this morning and a thought occurred to me. If I had to describe my personality in two words, it would probably be bubble lite. There was a time four years ago when I never thought I’d laugh or even smile again, but eventually my true nature bubbled to the surface and I found reasons to be happy. Sometimes it was just from a cup of hot tea, a riveting book, and a cozy chair on a cold winter afternoon. I particularly love to see the funny memes on Facebook as I’m having my morning coffee. They’re a great way to start the day. To keep my positive feelings alive, I shun the news before bed now in favor of my favorite sitcom reruns followed by reading something that won’t give me nightmares just before I fall asleep. I kind of like thinking of myself as a Bubble Lite. If you could describe yourself in two words, what would they be? Join my bubble club, Diane. My motto is to always leave a smile on someone's face when I leave the room/store/etc. I hope my books do that, too. I'm also a fan of the sleep setting. I rarely hear the end of the show. I too am bubbly as you may remember from your book signing... (I am very memorable) lol I love the show Castle and it sometimes reminds me of your books. It has a great couple with a perfect balance of humor yet serious at times. The show is lighthearted and funny while watching a serious situation. I don't know if I could describe myself in one would but I'll start with witty.. Yes your books do leave a smile on my face. Kate, it has been a tough road I know, but you have come the distance. And yes, you share humor with us and I for one appreciate it. I no longer watch national news at all, and I try to stick with television shows and movies (and books) which have laughter. I thank you for your contribution to my happiness. Kim, you made me laugh! Yes, I do remember you. Maybe your two words could be witty/pretty. Happy to hear that, Diane! My pleasure, Annette. I do feel it's my path in life -- lighten peoples' lives a bit. I have to tell you also. My daughter is in your friend Carla Miller's 3rd grade class and her and another classmate wher so excited to tell her I read your books and to tell me that you are her friend.. You already have an impact on children. My daughter was so happy to tell Mrs. Miller that she met a celebrity at Barnes and Nobles. Oh, how sweet. Thanks for letting me know! Candace, vivacious fits you perfectly, my friend. If anyone was bubbly when I was growing up, it was you! Is that contagious? Tell the hubster thanks from me! Word of mouth is my best salesperson.